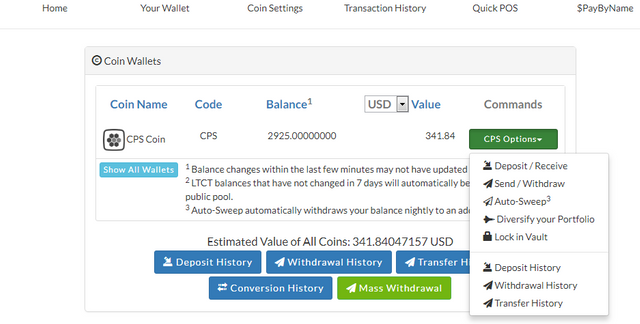 Im happy to have received my 2925 cps coins worth 341 usd. As it had been stated from their site that the Cps Coins would appear on the account but could only be withdrawn as from 1st july it has happened.So for all who followed from my referral link check you account balance. THE BIG QUESTION IS WHO KNOWS THE PROCEDURE OF WITHDRAWING?????????????????? COMMENT BELOW WITH THE PROCEDURE.